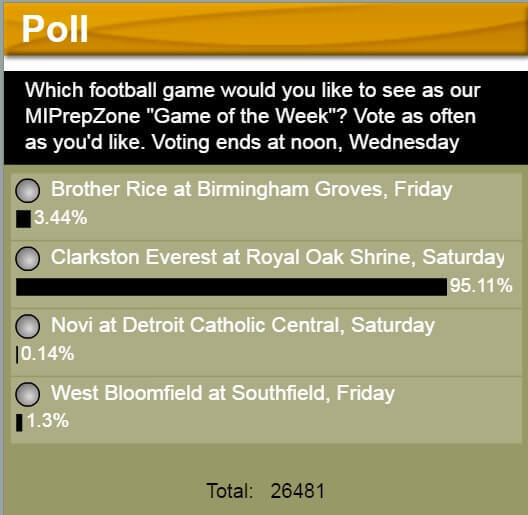 We Won MI Prep Zone Game of the Week Vote! We Won! The EC Mountaineers versus Shrine is the Game of the Week on the MI Prep Zone! The MHSAA high school football playoff game takes place at Shrine High School Saturday at 2:00 pm.